This is a month for visiting gardens. 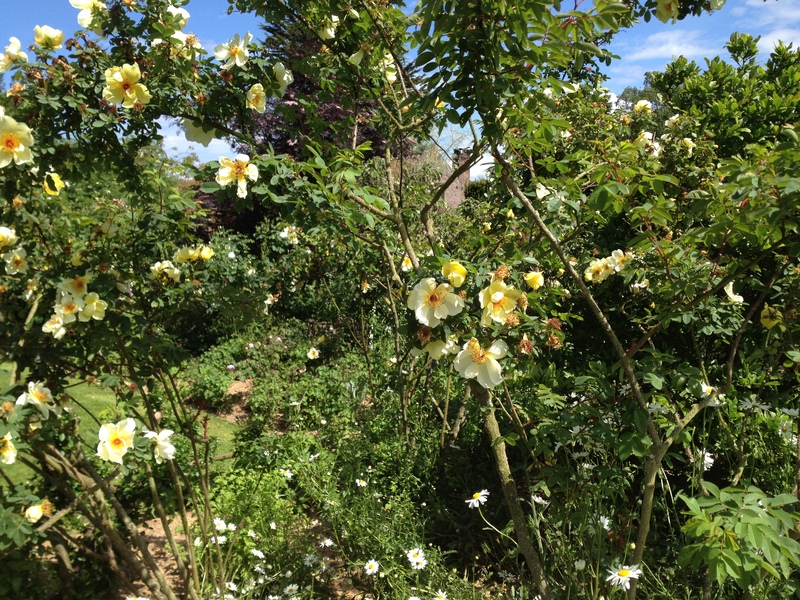 After showers in April and May, Normandy in June is in greenish bloom. 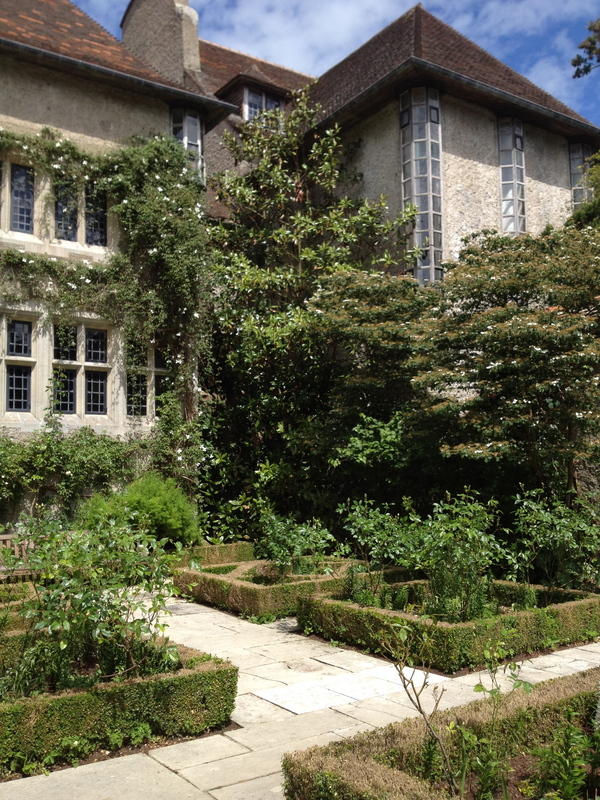 A few weeks ago, I wrote about the most famous garden in Normandy. 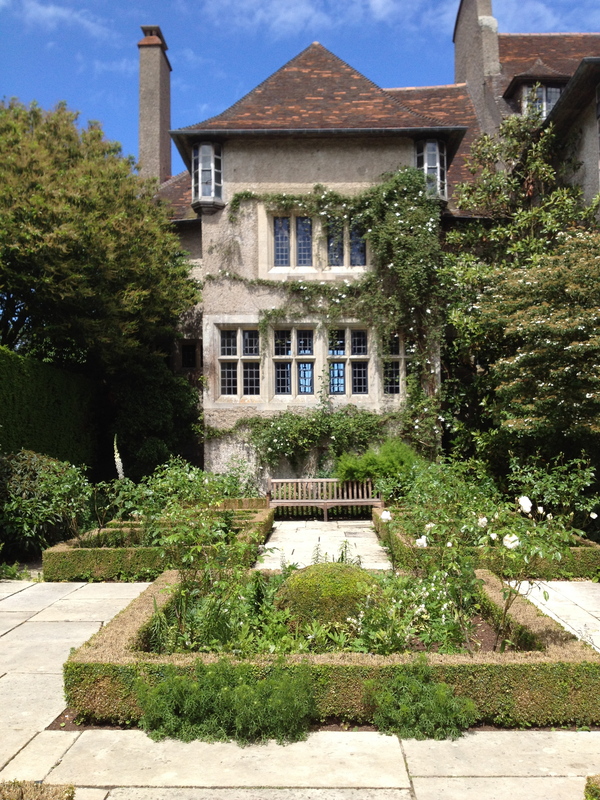 Shortly after, I visited another, less famous but equally wonderful garden–let’s call it the most famous English garden in Normandy. 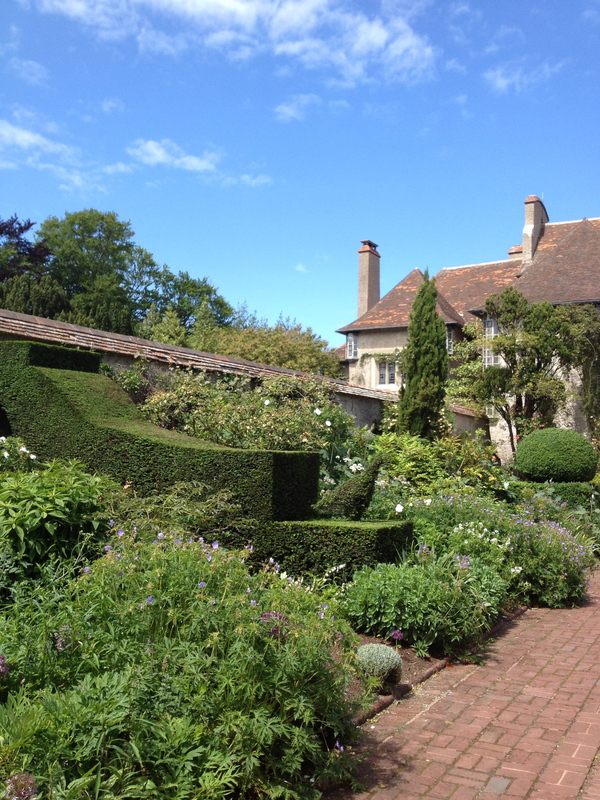 The house and garden Les Bois Des Moutiers were created from 1898 onwards by the Mallet family, who hired the then young English Arts & Crafts era architect Edwin Lutyens and the wonderfully named and widely influential garden designer Gertrude Jekyll. 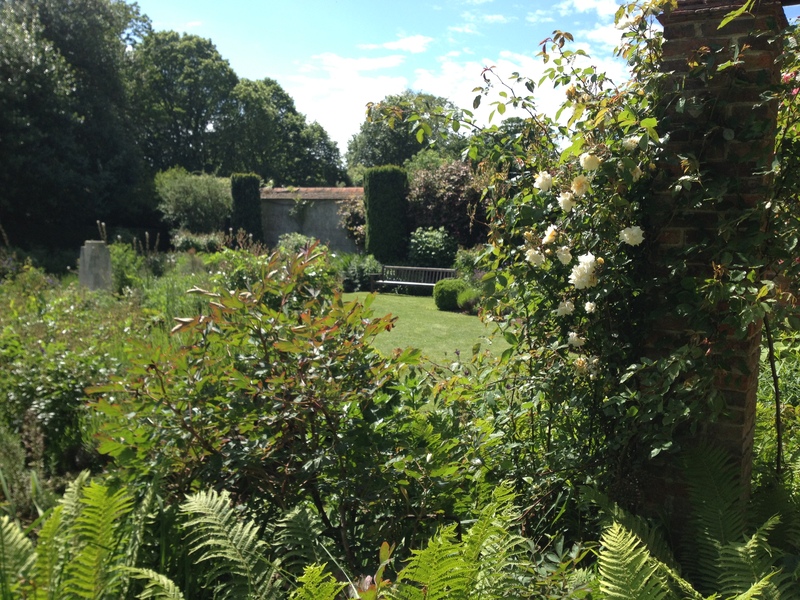 Gertrude Jekyll is famous for creating gardens that feel like series of outside rooms. 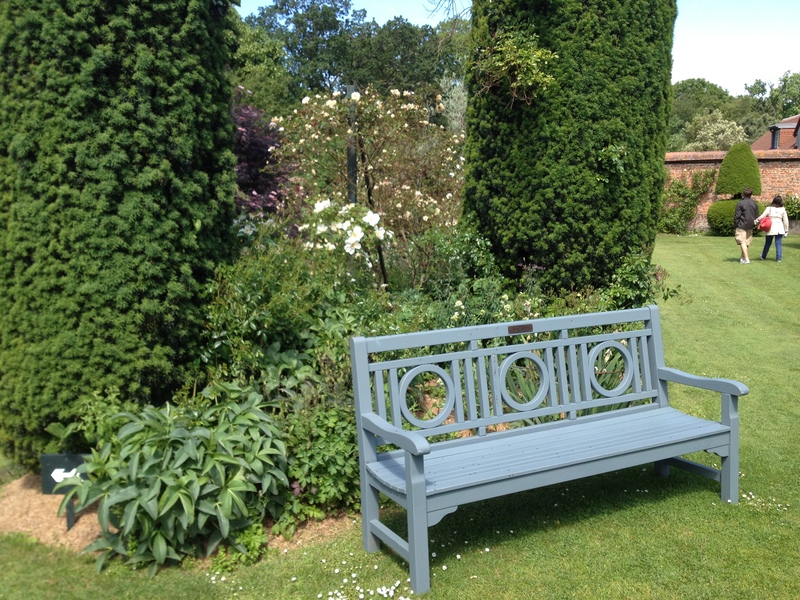 Each one has its own scheme of colour, scent, and seating. 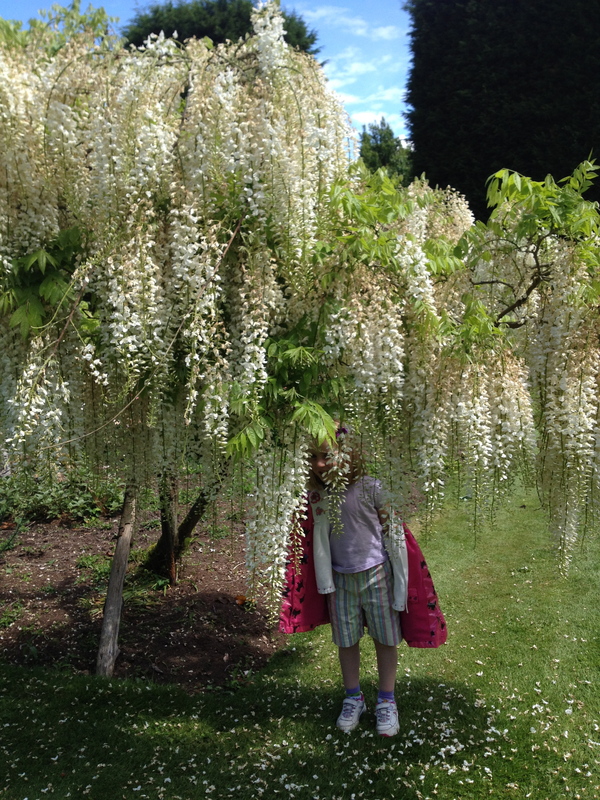 Look at this amazing wisteria, trained to grow as a tree. 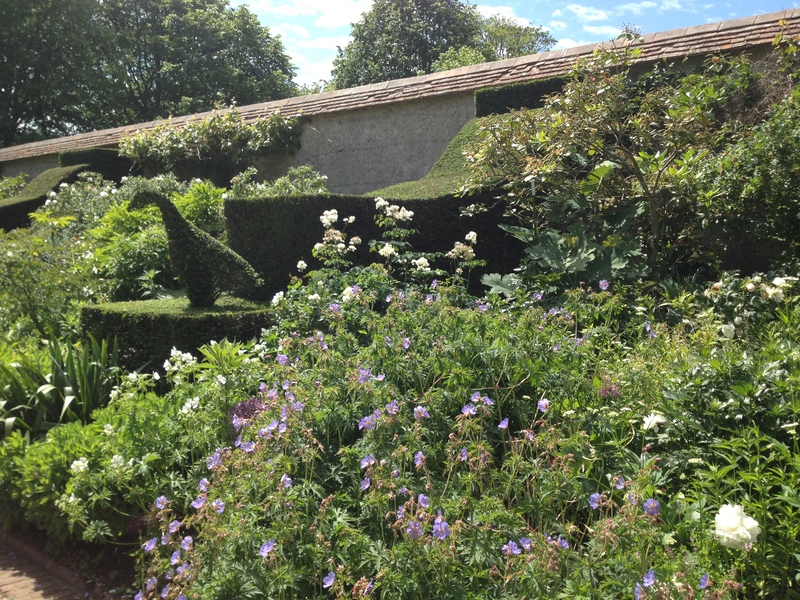 The gardens, with their hedges and bushes and secret paths, create a wonderful natural playground for children. 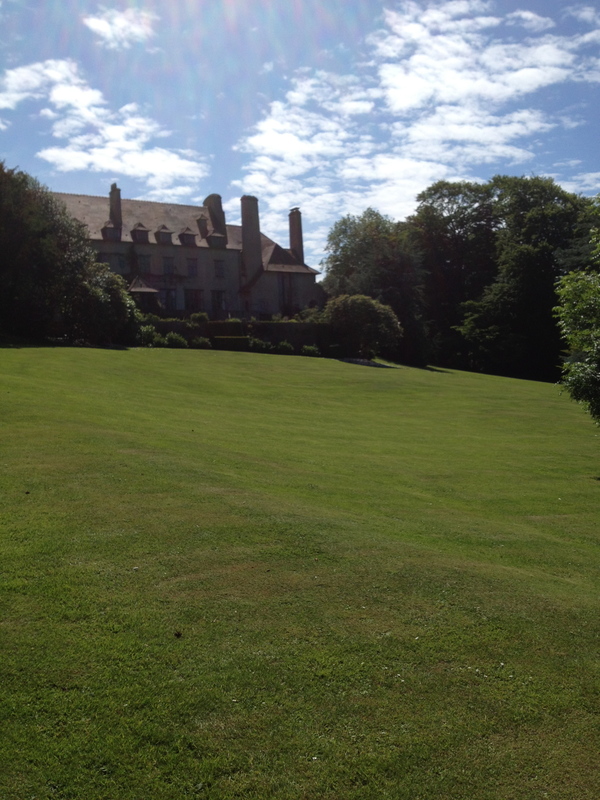 You can hike around the extensive land behind the property, and there are wonderful views. The house can be visited by private appointment only. And should you love it enough, ask about buying it as the family are seeking to sell to the right, suitably considerate, buyer. Price on application only. 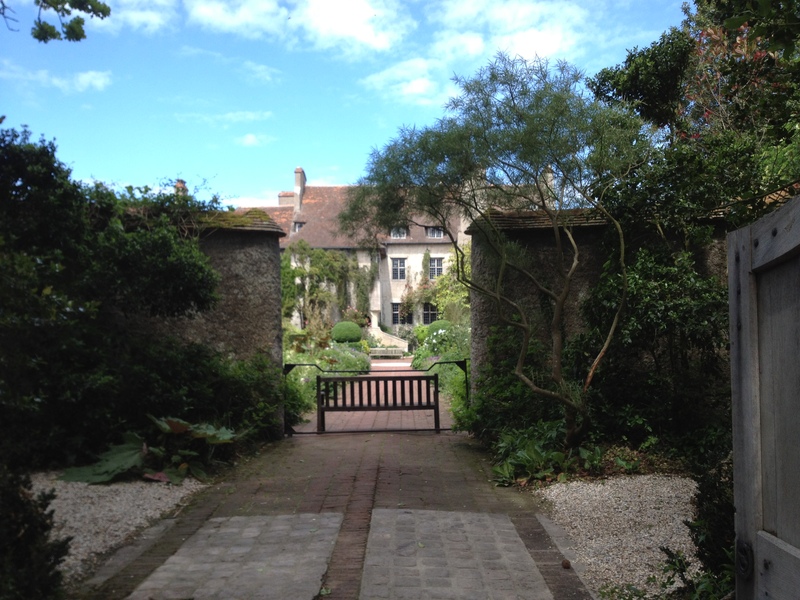 The property is situated in the charming Varengeville-sur-Mer, which is south of Dieppe on the Normandy coast and just over an hour, cross-country, from Les Iris. 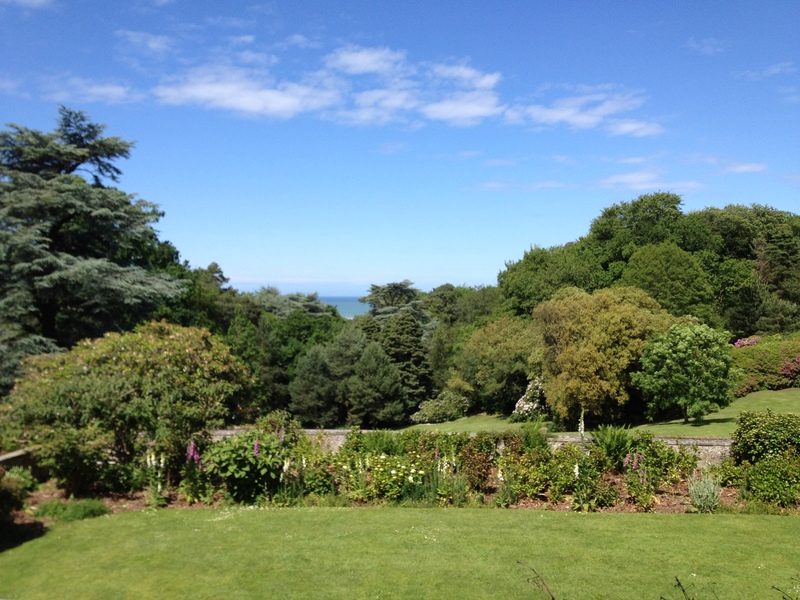 Hike up the road outside the property to the church at the top for a spectacular view of the sea.